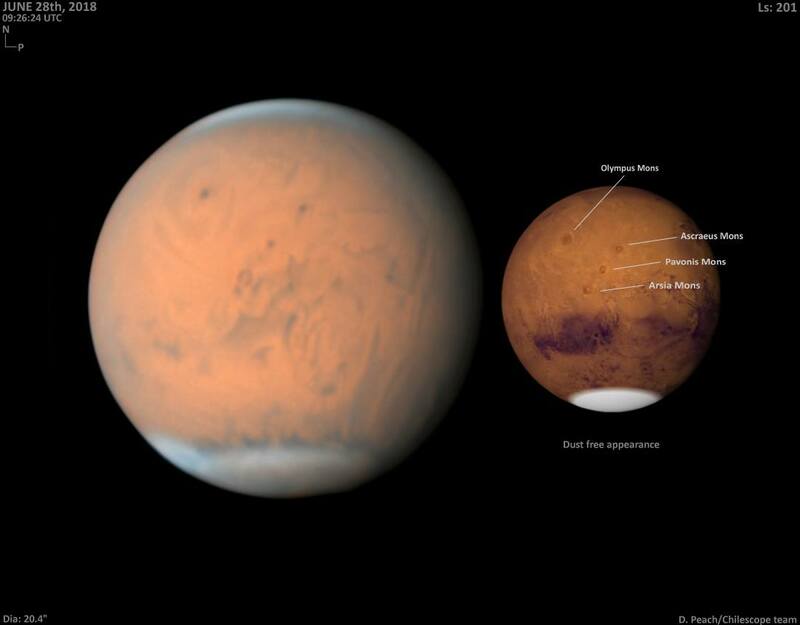 Damian Peach, (people call him DP)is a well-known master in the field of planetary photography. He is from the United Kingdom. This gentleman has keeps doing planetary imaging for decades. 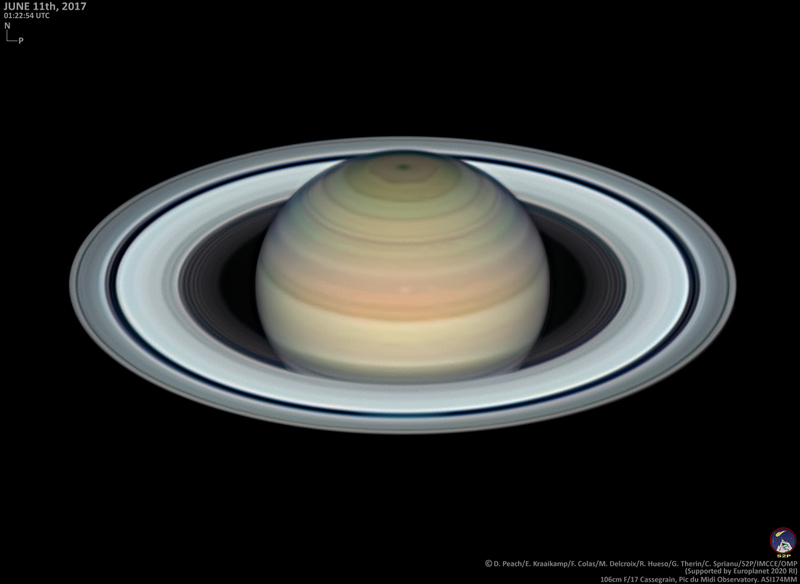 The numerous beautiful and amazing planet images in his personal website show his great talent in astronomy. DP has won numerous planetary championships in the UK and global astrophotography competitions, and he has maintained close working relationships with the French Observatory and the Chilean Observatory. Why DP can be so famous in astronomy? DP has been keen on astronomy since he was a child. The dream started from his childhood is often the most powerful one, and it can even last for lifetime. In 1988, DP started his deep love on astronomy from a small telescope. 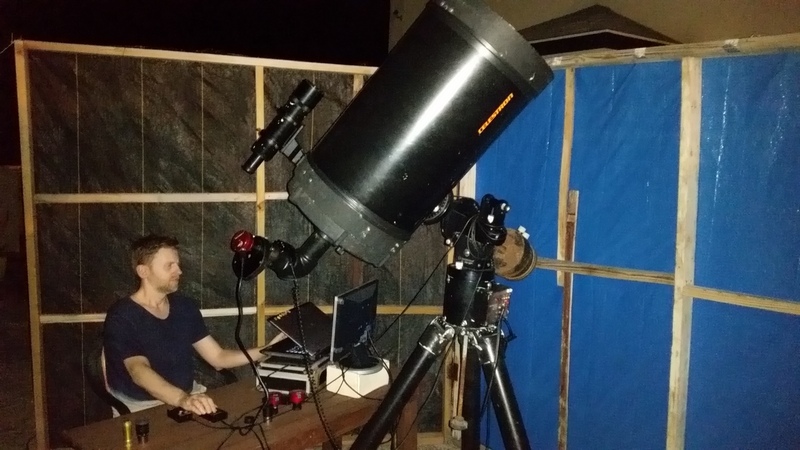 He used many telescopes, like C925, C11, C14, and now he goes to remote astrophotography, but he has always maintained that initial love on astronomy. For more than a decade, DP insisted on shooting with his C14. DP told us that, his C14 has a perfect condition of precise. It is impossible to have the same perfect telescope out of 100 pieces of C14 finished telescope now. With this C14, DP keeps capturing images for Mercury, Venus, Mars, Jupiter, Saturn, Uranus and Neptune to record the planet’s apparent diameter, surface details and so on. Maybe it is no big deal to record for once or twice, but if it was recorded for 10 years, 20 years… these valuable data become extremely precious planetary data and also it’s also his mental journey. The reason why DP can make such wonderful photos of the planet is not only because of the good seeing , but also the insistence of shooting, as well as a complete set of planetary photography concepts established by his continuous study of planetary photography. From the photos of DP, you can see that over the years, his processing techniques is more and more sophisticated, and the images are also more and more delicate and outstanding. According to his years of experience, Master DP has released 3 DVD tutorials. The most two famous DVDs are called “high resolution astrophotography” Part I and Part II. How does DP and ZWO get to know with each other? In 2012, ZWO released the new ASI120MM camera, which is a milestone in the history of planetary photography. The ASI120MM broke the monopoly of CCD cameras in planetary photography. While promoting ASI120 in China, it also attracted widespread attention from foreign enthusiasts. Among them, Sharpcap’s author Emil and Planetary Imaging master DP also noticed this rising star-SAI120MM and they start to use it. In the following interview, DP also talked about this epoch-making product. Since then, DP and ZWO have had an indissoluble bond. Almost every new planetary camera comes out, DP will be invited to test it and show people its performance. Now, DP uses ASI cameras at two famous observatories! One is the ASI 174MM camera, which was used at the Chilean Observatory with 1 m RC, the other is ASI 290MM camea, which was used at the French Pic du Midi Observatory with 1 m Cassegrain. Q1: Hi, DP. Could you please introduce yourself to everyone? 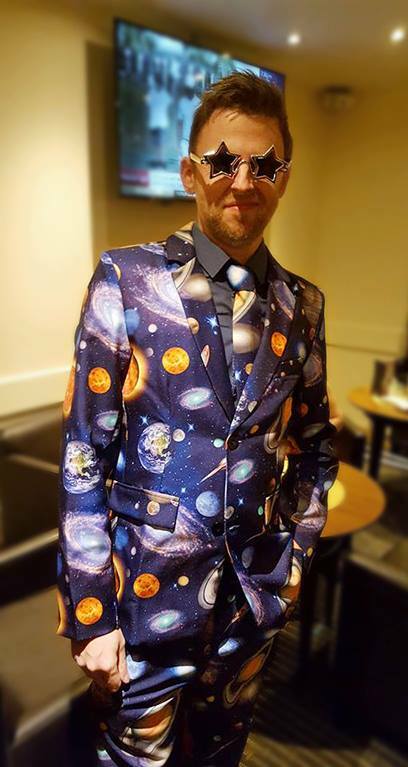 A1: Hi, I’m Damian Peach, an astronomer from the UK. 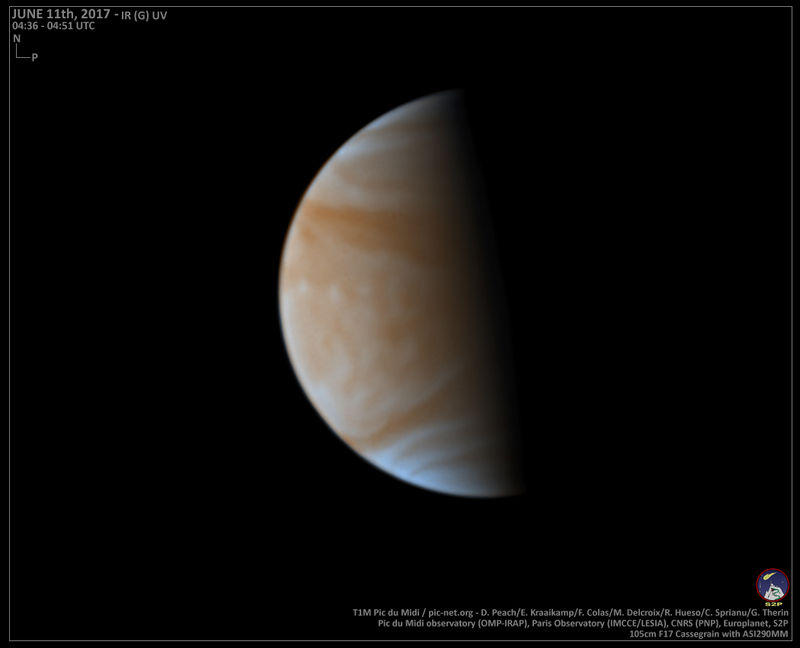 Q2:When did you start planetary imaging? can you remember your first scope and camera? Is there any image of them? 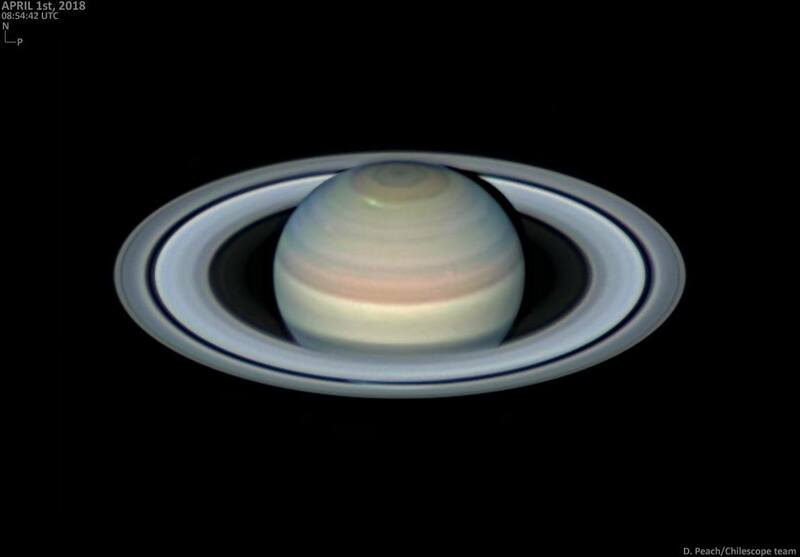 A2: I started observing the planets way back in 1988 but did not start to try photographing them until 1997. My very first telescope was a small Russian 10 x 30 spotting scope (which I still have.) The telescope I very first used for planetary imaging was a Meade 12” LX200 equipped with an SBIG ST-7 CCD camera. Q3: What telescopes and cameras do you use, and what is your favorite setup? We know that you use C14 for many years, do you still use it? How long are you going to keep it? A3: Yes for my own telescope I still use the C14. It is a great telescope, I will never sell this telescope – ive used it for so many great views and images over the years. Q4: What is your first ASI camera? How did you know ASI cameras at that time? Could you please let us know the feeling of your first use? A4: My first camera from ASI was the ASI120 mono camera. I was really impressed with it – the first CMOS based camera that rivaled the dominance of CCDs. Q5:What ASI cameras have you been used？ Which is the most commonly used ASI camera? Could you please give us a brief evaluation on each of your ASI cameras? A5: I’ve use many of the ASI models. Mostly I use the 120MM-S, 174MM, 290MM and 224MC. All of them perform really well. Q6: Do you have an impression on the picture below? Is the red camera 120MM? Do you still have the images that taken with that camera? If so, could you please show us ? A6: Yes the camera in the image below is the 120MM-S. I really like this camera for visible light imaging, and its pixel size nicely matches the C14 focal length. Q7: We know that you are a master of planetary photography, how do you set the exposure and gain value for planet shooting? A7: I always try and achieve 75% histogram saturation while keep gain at around 60-70% and FPS set accordingly. Q8: Is it correct to shorten the exposure time and increase the frame rate for planetary imaging? A8: Yes, always go with the fastest frame rate you can. This will help produce sharper images. 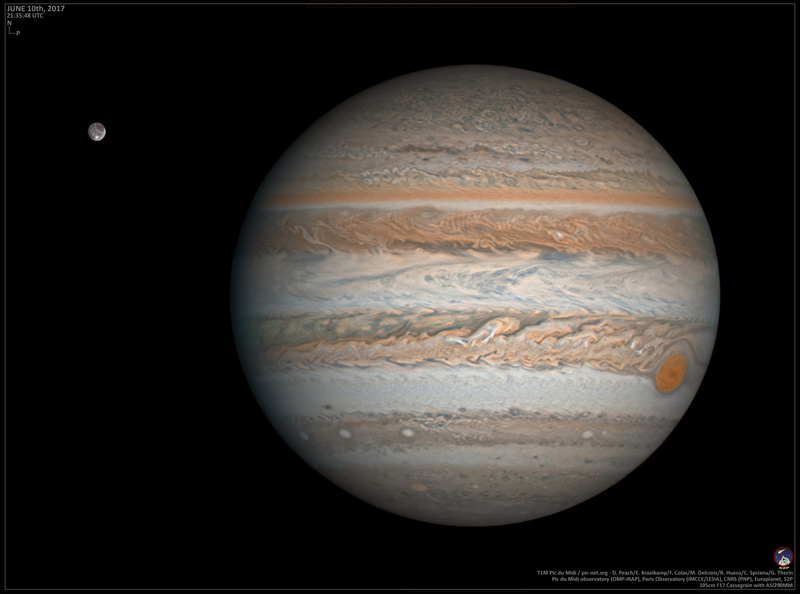 Q9: Take Jupiter as an example, do you usually use RGB or LRGB for it? What are the advantages and disadvantages of these two methods? Do you need to refocus for each channel? A9: I generally use RGB imaging. Yes re-focus is needed for each filter. Q10: Take Jupiter as an example, what is your recommended total exposure time for each channel, and what is the recommended total frames ? A10: I shoot sequences of 60sec each. This works very well. Usually I can capture several thousand frames in that time. 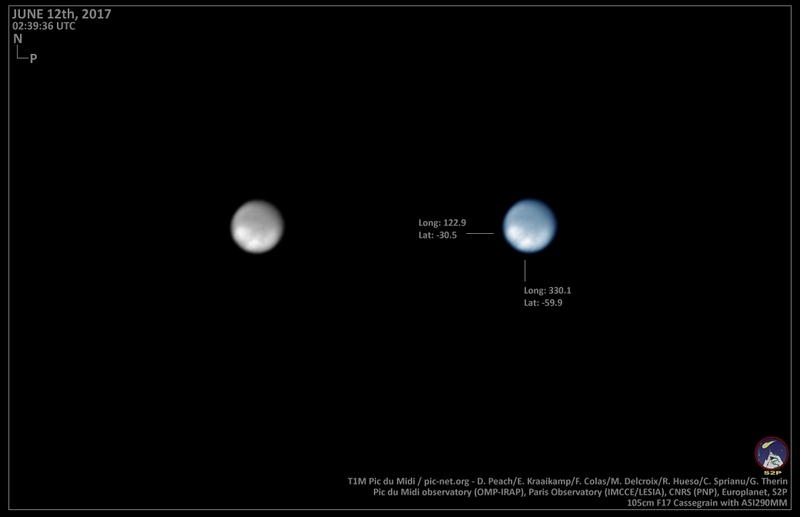 Q11: We see that the total exposure time of your planetary imaging were 10 minutes, 15 minutes, or even 18 minutes. How do you solve the problem of rotation? A11:I use WINJUPOS de-rotation. 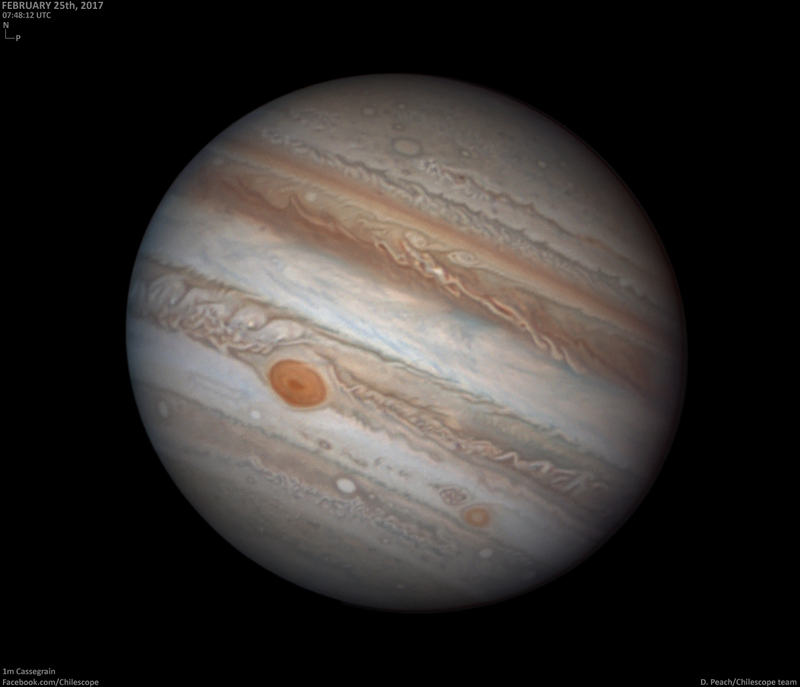 So for Jupiter you can capture data for 10-15mins, while for Saturn more than 30mins. This makes a big difference to the image quality. Q12: Which software do you use for post-processing? What important post-processing will be done? For example, deconvolution? Q13: We know that you use Chile’s 1 meter RC telescope quite a lot for remote shooting. Which planetary cameras are currently using for now? Which camera is the most commonly used? And why? A13: The primary camera on this telescope is the ASI174MM. It nicely matches the long focal length of the telescope. Q14: What is your opinion on remote planetary photography? What do you think are the advantages and disadvantages of remote? A14: The advantage is without doubt it is easy and convenient and can be done from the comfort of indoors. The disadvantage is focusing with remote imaging is much more difficult than doing it in person at the telescope. It can take much longer to achieve proper focus. Q15: Could you provide a full-resolution Jupiter video with the excellent seeing? It can be around 1000 frames. All of us are so eager to see it! 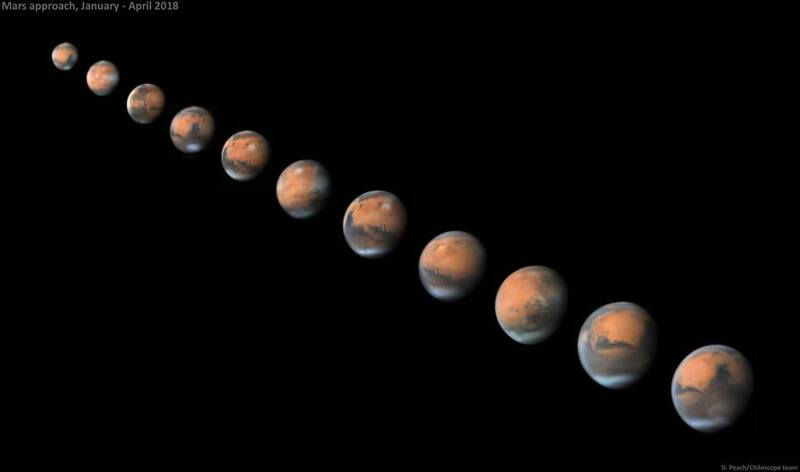 Q16: Any suggestion for people who are preparing for the coming Mars? 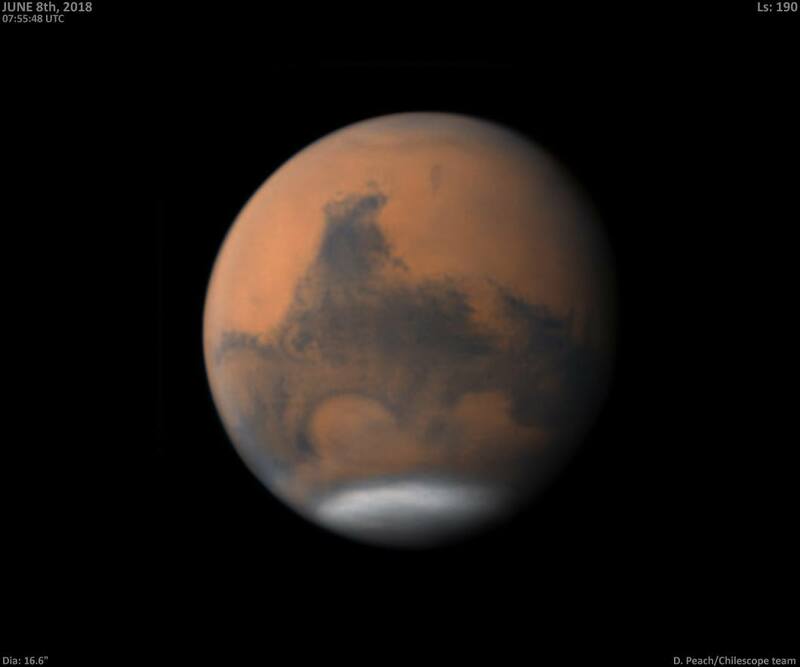 A16: Unfortunately Mars has become shrouded in a planet encircling dust storm so the planets familiar features have become heavily obscured. Employing near IR filters will help see some detail. Q17: What do you would like to say to ASI users? A17: In many years of using ASI camera ive always been impressed with them, and the company in general. They make some great cameras (and other accessories) and its always been a pleasure dealing with them!